These days Facebook is rolling out some new features, Some days back they unveiled Facebook smart list and yesterday they rolled out the new design with lots of new feature like Top story, ticker and all. Ticker is new feature above the chat bar on right hand side which lets users to see their friends updates instantly on the top side of the chat sidebar. But most of the user don,t like the new Facebook design, mostly the new Facebook feature Ticker. Most of the users complained that ticker is a distraction while using Facebook. If you have similar feelings about Facebook Ticker. 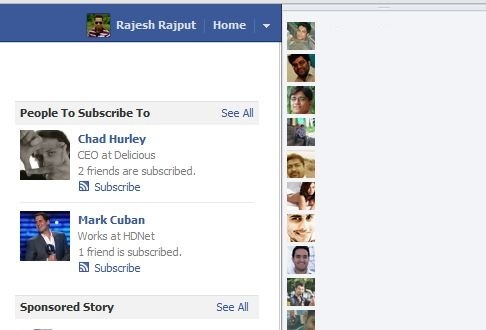 So here i will show how you can Hide or Remove Ticker from the Facebook Sidebar. For this you need a Google Chrome Addon Facebook Ticker Killer which allows you to kill the Ticker Feature in Facebook. Download the Facebook Ticker Killer Chrome Ad-don from here and install it in your Chrome Browser. Once the installation is complete, refresh the Browser page and You are done! It means it’s possible with Chrome Browser only…. not for firefox?? After tickerkiller instalation, is ur activity still available for others?